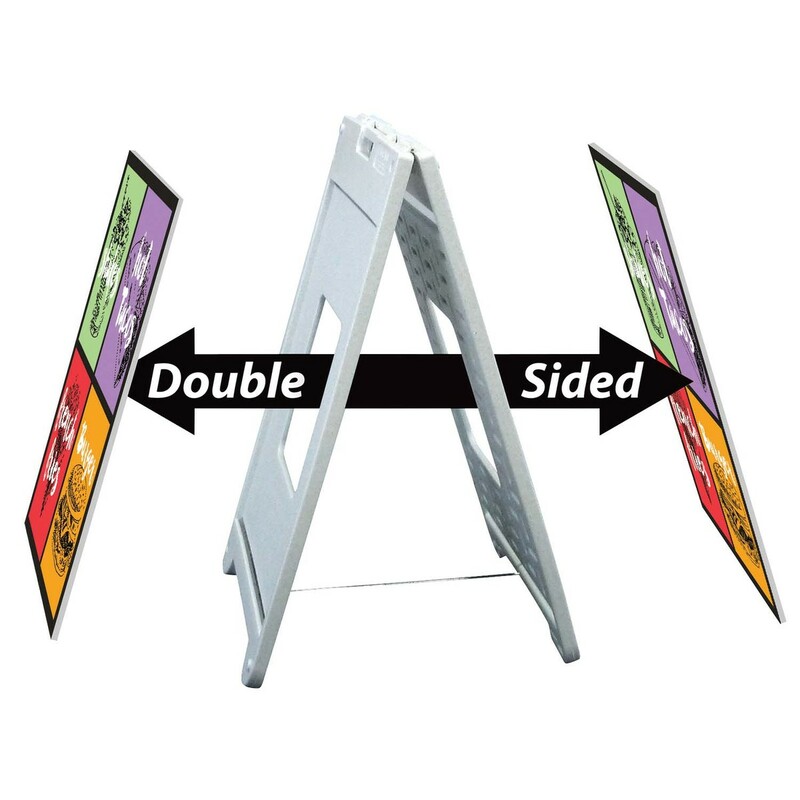 This A-frame sign is durable, weather-resistant and maintenance-free, packing all the best A-frame features into a single, compact unit. Full-color graphic printed on 4 mm corrugated plastic. Available in white only. Durable plastic construction prevents rust and splinters. Folds flat for transport or storage. Convenient molded handle. One-year warranty.